69 is a fashion label and lifestyle brand that defines itself as explicitly non-demographic and non-gender—welcoming wearers of all ages, races, sexualities, and sizes and stressing comfort and versatility in its designs. Hanging beach-style chairs have been reupholstered with the label’s signature denim fabric. 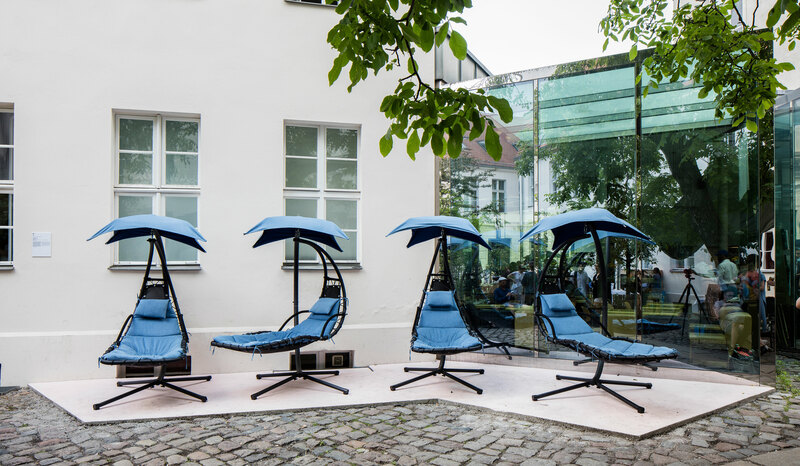 Visitors can hang out in style, in a place of respite and refuge where the casual passerby can sunbathe or chill—a blue-clad oasis on a busy summer day.